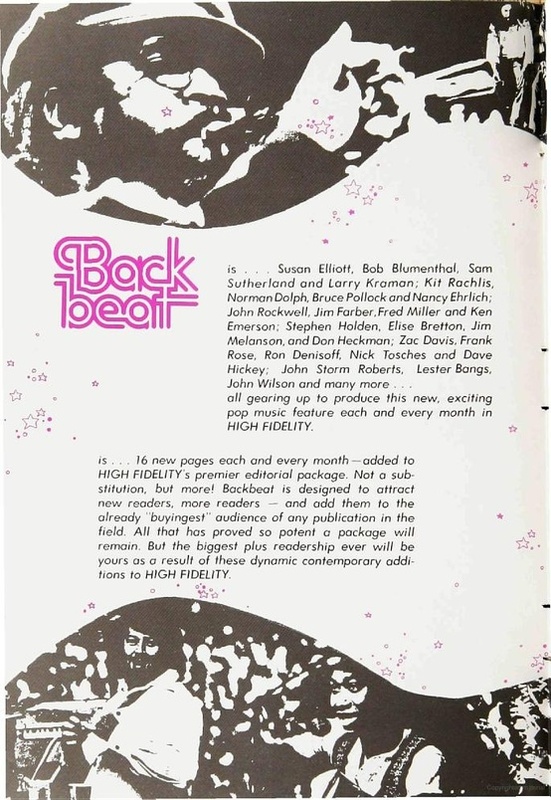 Ad for Back Beat, 1972 (? ), not a full-fledged ‘zine, but a supplement that came with High Fidelity. A lot of the usual suspects in here, but the name that jumps out at me is Dave Hickey, the (ahem) “Lester Bangs of art criticism” who has often alluded to his days in rock writing, the evidence of which I’ve never actually seen (but which I can now confirm truly did exist).